I am helping take care of my uncle who is 89 years old and has Alzheimer's. He is in a memory care facility but needs someone with him 24 hoyrs a day. 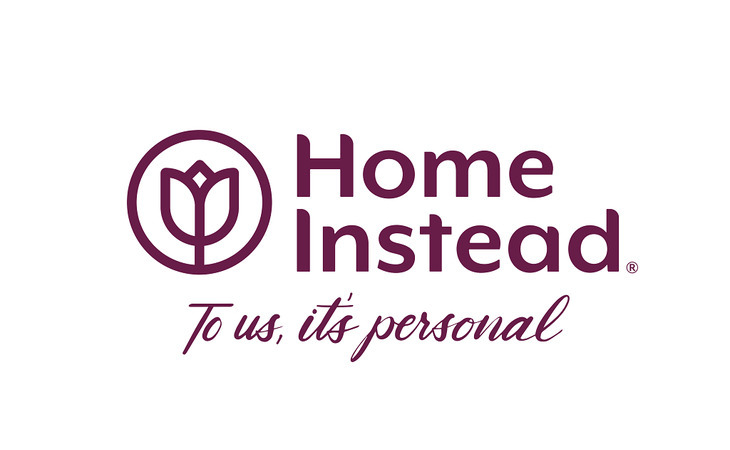 Home Instead has been extremely responsive since I first contacted them. Their caregivers are very professional and well trained. They truly care about the person they are taking care of. The notes left after each shift give you a good idea of what kind of day your loved one had. We are notified immediately if the care giver sees any change that we should be aware of. I would recommend Home Instead to ANYONE needing care! We used Home Instead 6 years ago for my Dad and are now using them for my Mom. They still have great employees as before; always on-time, very friendly and excellent caregivers! This is a wonderful organization. Very informative and they have fabulous staff available to assist you in whatever your specific need is. Easy to work with. Friendly caring staff & caregivers! I am a current client of this provider We are using Home Instead Senior Care Baton Rouge for my mom. This Senior care is not good as it used to be anymore. Some of the caregivers do not know simple hand hygiene. We are so disappointed. We are using Home Instead Senior Care Baton Rouge for my wife. We have a few caregivers who come in four days a week and then on Wednesday, there has been different people. My wife goes to rehab and when she comes in, she is here until I get home. She will make her a little something to eat. It is working out pretty well. They are very helpful and on time and take her to the doctor. The caregivers at Home Instead were good. Sometimes their employees would not show up or show up late, but in general, the office staff did their best to try to notify us when someone was not going to show up. They also notified us if somebody was running late and tried to find out the reason why. We used them for around three or four weeks. Their office staff was very responsive. I rate the company 5 because they are dependable and caring and they seem to keep an extremely close watch on the caretakers they hire and they strive to give the best care to their clients. I am extremely pleased and satisfied with Home Instead. We have used their services for about a year. The caregivers are knowledgeable and patient. The office staff is friendly and helpful. I recommend them to everyone. I definitely will give Home Instead FIVE stars. Every caregiver has been compassionate, knowledgeable, good personality, courteous, considerate, friendly,, etc. Whenever one sitter can't come, Home Instead always sends a replacement. My sister, brother, and I are all very happy we chose Home Instead to care for our daddy. It is an excellent company!!!!! The caregivers really care about their clients and they become a part of family. They are always helpful when I have problem and always call me back with an answer. I am pleased with the services and the caregiver takes good care of my wife. I am very pleased with the service. And I would highly recommend the services. The caregiver who takes care of my wife is pleasant, a good worker, and overall excellent. I'm totally pleased with the service and I would recommend the company to anybody. I couldn't be happier helping others and to have my clients to enjoy me as well. Company reps have been professional, courteous, and down right friendly in my dealings . The caregivers competent and care-giving! How much more can a patient ask!! The company is excellent because they really screen the applicants so that they have the best people to care for their clients. Their caregivers have high moral characters and integrity. The company does an excellent up to date training program. They do excellent follow along service once a caregiver is placed in a home. They are always available any hour of the day to provide advice or handle any situation that arise during your shift. Not only do they care about the clients we provide service for but they care about the caregivers. I have been very pleased from the beginning. My caregiver and I have it all worked out. They listen to you. They are dependable. The office staff have great personalities. If there is a problem it is well handled. I am extremely pleased with the services and would recommend it to anyone. We are very pleased with our care givers now and the service we receive. The ladies that take care of me are exceptional! I don't know what I would do without them. I give the company a 5 for excellence in every aspect...when I need something they are right there to assist me in my need...they show appreciation to the employees for a job well done which is great...whenever there's a problem it's solved right away. The company has excellent service. My caregiver is God sent. I have a top notch caregiver and therefore I am very pleased the service. I like the rules of the services and that makes things a lot easier. My caregiver promotes my independence and continues to offer good suggestions and ideas. She is honest and smart. I am blessed to have her. We get along well together. She is a like a second daughter to me. HlSC offers four hour shift when other companies are offering 8hr shifts so that is more of a benefit for the client if they only need 4hrs for a cg to work for them. They treat employees like family. They keep us to date on training. Company reps have been professional, courteous, and down right friendly in my dealings . The caregivers are competent and care-giving! How much more can a patient ask!! We got them for my mother for less than a month for care giving and housekeeping. She was perfect and excellent. We needed someone with a back bone, she was with mom when she died and we were grateful for that. Home Instead was the first agency I've ever dealt with. I was very pleased with the caregivers that my mother had. The lady that came out who interviewed me and my mom was very knowledgeable, and knows what she's doing. One time, mom had a fall when she was trying to get to the door to let the caregiver in. The caregiver knew what she had to do and sent grandma to urgent care. So I felt like they did a very good job. They know what to do in case of emergency. However, I think some of the individual caregivers might be trying to work more than one job, because one time the caregiver started to fall asleep. I understand because I've worked two jobs too, but that's a little scary. But I also like that the caregivers follow-up with me and talk to me. The communication was very good and they're willing to communicate with the family. They also do a very good job of showing that they really do care about a person. I think the actual caregiving itself is very good. I would definitely recommend them and use them again. I am totally satisfied with the service and would recommed this company to anyone. What should caregivers and potential clients know about Home Instead Senior Care - Baton Rouge, LA?